and this one has nothing. Totally confusing. Any comments? They have been made using the same slip cast method as Crown Lynn used. not the glazes nor the shapes or the bases tell me that they are Crown Lynn. 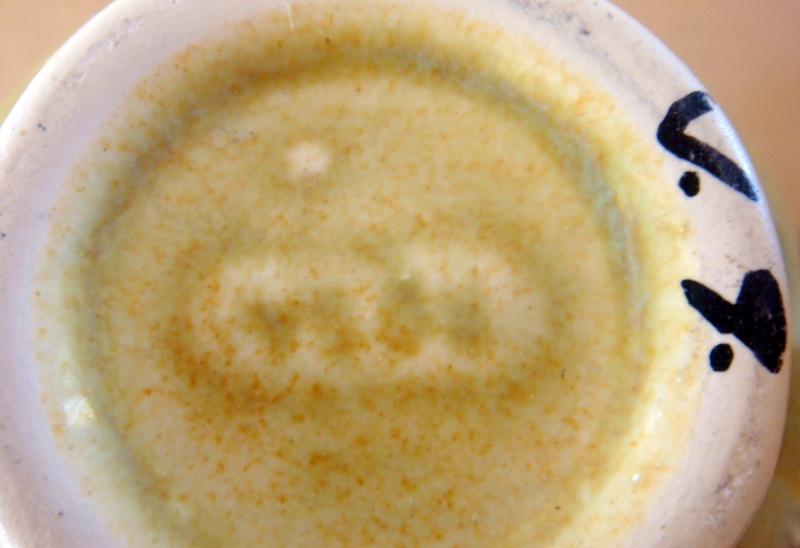 Also, I noticed you asked about the two dots on either side of the number on the shell dish. What do they mean if there or not there? 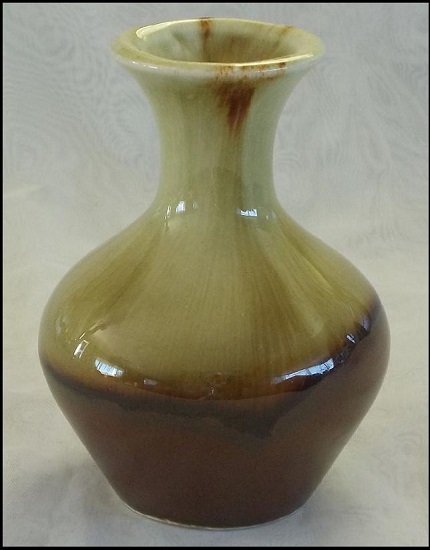 The vase in that link looks like it's related to the vases that you posted. Actually I asked that trader for a photo of the base as we don't have that shape number in the Shapes Gallery and they didn't respond, so I asked about the dots either side as Crown Lynn used that method on many of their wares... not all though. As the trader said that the number was in a 'box' I don't think it is Crown Lynn. I also wondered about the 'box'. 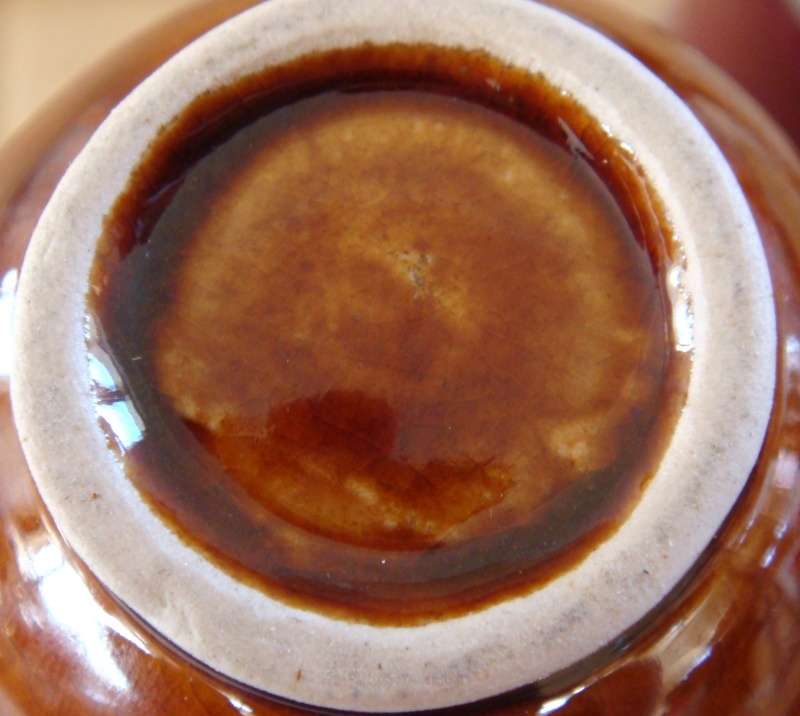 I notice some other vases on there that are listed as Crown Lynn with fraction marks, but the marks are stamped with a stamp and large, taking up the whole base. They look German to me. Aha you are asking questions on Trademe .... good to see! I have decided that this range in the early 500's is Titian - there are a few that are numbered in a similar way to Crown Lynn. This is what makes the Shapes Gallery such a valuable resource. Having come across several of these, they are very light weight and the finish is no where near as good as Crown Lynn. These are often listed as Crown Lynn by the way. Yes indeed that piece is Crown Lynn and when you get it check out the number on the base with a dot before and after the number. We have sketchs of some of those low 500 numbers that are confused with Crown Lynn. These have dots before and after the number, but don't relate to the Museum Crown Lynn Shape Guide. 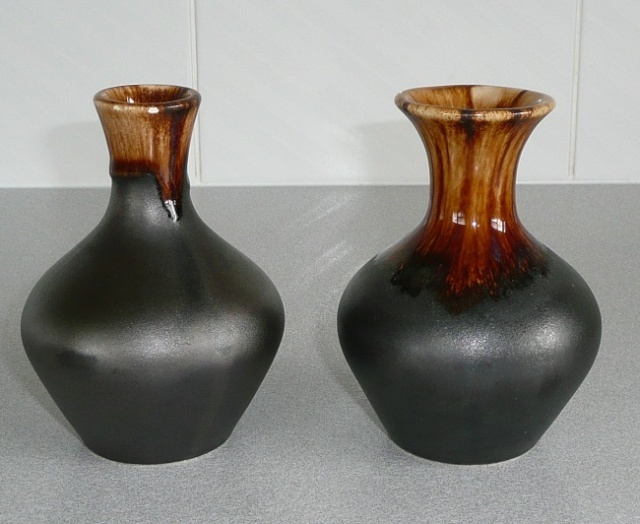 These vases are all related/made by the same manufacturer. There is also another series in the low 100's that don't match the Crown Lynn Shape Guide. Thanks so much Ev for all your help. I am still learning, but thanks to this site I feel quite empowered with the immense knowledge I have gained already! Please note the handle on the 509 which is very typical of a Titian handle shape and not a Crown Lynn one. They do look lovely together like that. Aha!! 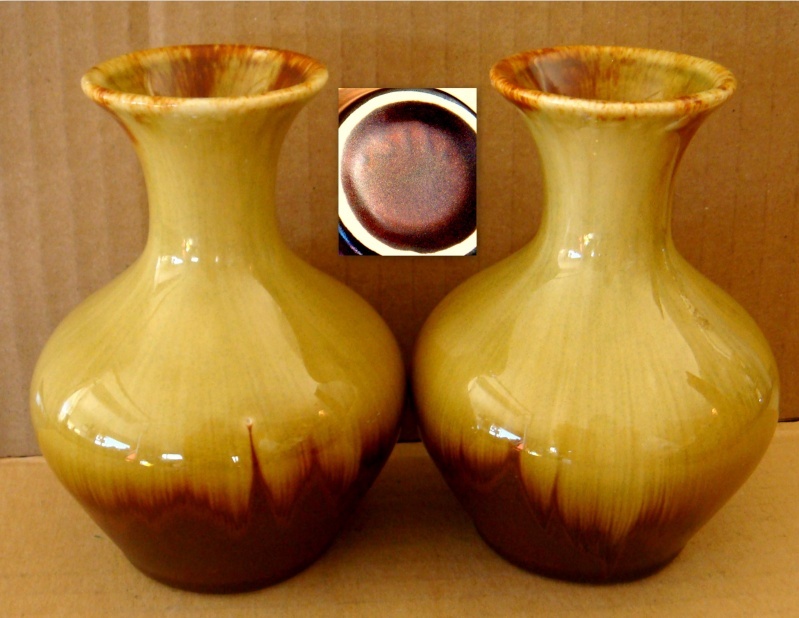 Just found a listing for a 2074 or 1074 vase the same shape as the .511. Similar colourings to your two vases too sunshine. So perhaps Crown Lynn adopted this shape too and gave it a four digit number!! 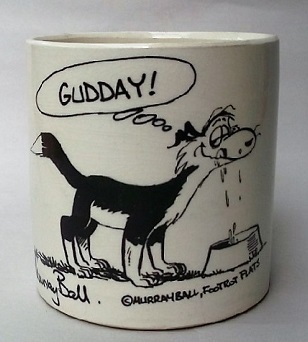 I've asked the trader to clarify which number is on the base, as the 1074 is a Ball Point pen pot. The trader confirmed that the number on the base is 2074, which sounds like a Crown Lynn 4 digit number, so I emailed HeatherT to ask what the Crown Lynn records say for 2074. Heather replied saying that the 2074 is a small vase that was made by Titian - their shape number was .511. If these pieces have the Titian numbers then they would have been made by Titian. If they have the Crown Lynn 4 digit numbers then they would have been made after Crown Lynn took over the Titian factory !! I cannot find anything in the Crown Lynn records to say that the 511 was made by Titian. It looks like the 511 that is recorded is the Crown Lynn shape 511 and it has been given the four digit number of 2074 which was made at the Crown Lynn owned Titian factory in 1971. Finally found an auction with the low 100 numbers for you to see sunshine. Always listed as Crown Lynn Metropolitan ware .... different shapes with the same type of pattern, but with those numbers they must be Titian. If they have four digits then Crown Lynn would have made them after the 'takeover'. I've yet to see any with four digits though. 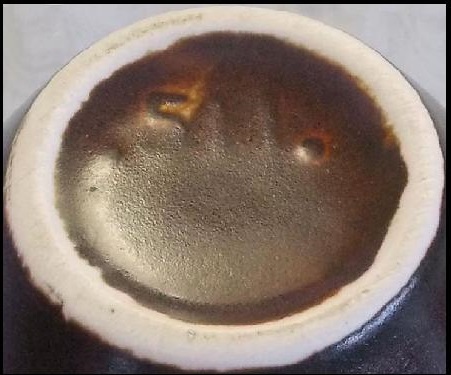 This listing shows the same shape and the base says Claycraft ..... !!!! 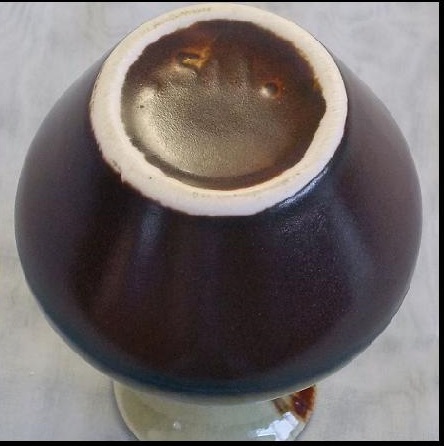 haselnuss sent this photo to the site of a shape .511. which is one of the shapes that this topic is all about. The last post shows this same shape with Claycraft on the base..... but there weren't any numbers ..... ?? 507 on the left and 2047 on the right ..... a very familiar shape in this thread that usually has .511. on it. They are a different shape though... not much help I know. Is it like the metallic glaze used at Luke Adams? Yes the 509 and the 2047 are different shapes, but the 2047 matches the shape of the .511. above. No the glaze isn't at all like the Luke Adams glaze, it's like that very black metallic glaze that can be found on coffee sets and the Country Fair ware. I will try to find something on the site to compare to. Re: Two Crown Lynn or Not ? I agree that the .511. looks very much like the Coffee Sets and the Country Fair which comes in the black/brown and the green/brown like these vases do too. 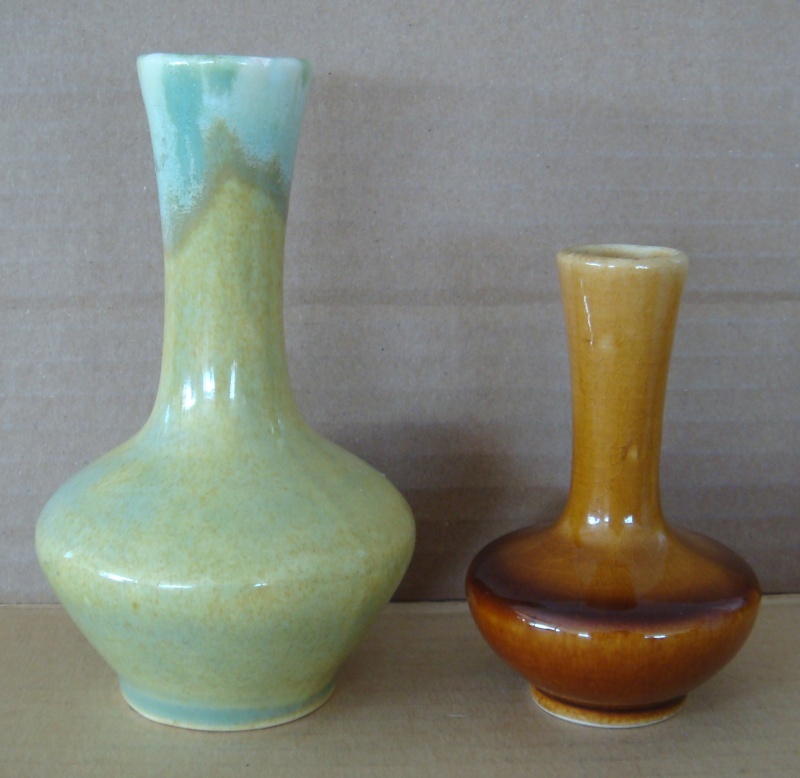 The first two vases are made by Putaruru Hand Ceramics sunshine.